Marian Wilson, PhD, MPH, RN-BC, and Assistant Professor at Washington State University College of Nursing, has developed a creative approach to treating depression related to chronic pain. Dr. Wilson, a chronic pain researcher, board certified in Pain Management Nursing from the American Nurses Credentialing Center & American Society for Pain Management Nursing, is currently seeking individuals with any chronic illness and depressive symptoms to try an online program for depression. She wants to confront the under-detected and Pers diagnosed with chronic disease that exacerbates the deterioration of their overall state of health. The purpose of the program is to establish affordable and user-friendly computer-based tools to benefit the treatment of chronic pain, personal injury and depression. The company responsible for developing the program, Goalistics, was founded by psychologists, Dr. Linda Ruehlman and Dr. Paul Karoly. The National Institute of Neurological Disorders and Stroke and the National Institute of Mental Health have awarded Drs. Ruehlman and Karoly ten research grants, funds from which facilitated the study and development of several different analysis tools and training programs, including the Pain Self-Management Program, the Profile of Chronic Pain, and the Multidimensional Health Profile. Psychological, social, and health-related issues that are often treated in mental health or physical health care settings can be managed online by the patients using these tools. Because technology-based programs are affordable, self-paced, and available 24 hours a day, the Goalistics partners hope to be able to reach patients for whom traditional healthcare services would be difficult. Patients with transportation issues, communication disabilities, busy work schedules, and no insurance could overcome these barriers and receive much-needed services. Further Reading: How Safe is Colorado? A variety of electronic tools have been utilized by Goalistics to facilitate learning, such as DVD, online assessments, and electronic messaging, interactive learning, in-stream video, and online discussion forums. Patients who suffer from a chronic medical condition and also deal with depression may be eligible to take part in a study to discern the impact of an 8-week program to lessen depressive symptoms in people with chronic illnesses. Dr. Wilson, who heads up the study, notes that patients treated for pain in emergency rooms experienced no improvement in their depression, substantiating the suspicion that the depressive symptoms were not addressed in conjunction with the physical pain. In an earlier study, the status of patients with chronic pain not related to cancer, and/or documented opioid abuse who had visited an emergency room, were recruited by nursing personnel to perform an online survey that inquired about pain intensity and interference, depression, subjective health, and health distress. Fifty-two patients consented to the survey and a follow-up questionnaire 8 weeks later. 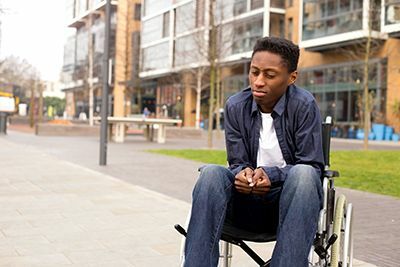 The conclusions drawn from those surveys indicate that those people treated for chronic pain in emergency rooms had unmet needs for depression. The investigators suggest that mood-specific screening tools may be necessary in healthcare settings to diagnose depression and prescribe the proper treatment for patients. At the Green Law Firm, we understand that car accidents can wreak havoc on a victim’s life – often leading to unmanaged pain and long-term depression. That is why we always fight aggressively for our clients – so they can obtain the maximum compensation. Contact the experienced Colorado Springs personal injury attorneys at the Green Law Firm today to schedule a no-obligation consultation and discuss your case. Call us today at 1-719-694-8515.